Bierfreiheit: What’s in a Name? Until the 19th century most municipalities in what eventually became Germany prohibited the sale of beer that was not produced, and thus taxed, locally. This rather base form of protectionism was known as Bierzwang (lit. beer compulsion/force/obligation/constraint) and as a result, markets were legally provincial and self-contained. But this couldn’t last forever. The French Revolution and Napoleon’s subsequent Continental forays were profound catalysts of change affecting all aspects of life. Beer was no exception. Bierzwang was eventually replaced by Bierfreiheit, a liberalization of norms and forerunner of the consumer marketplace Germans enjoy today, where provincial isn’t the only game in town, merely one of many. Compulsion and constraint are no more. Beer is free, technically at least. Or somewhat, technically. Or maybe just somewhat. But even that’s a stretch. Bierzwang is gone, legally anyway. Bierfreiheit is a matter of course- except it isn’t. Only a casual observer, foreigner, or average German would honestly believe that the market here is open, vibrant, or anything resembling free. Throughout the country, with few exceptions, market forces, protocols, regulations, traditions, preconceptions, and prejudices continue to stifle an industry enjoying unparalleled dynamism throughout much of the world. Germany might have 1300 breweries and upwards of 5000 brands, but even a brief gustatory survey of the country will quickly put paid the notion that freedom is best measured numerically. Freedom of course means a lot of things to a lot of people, but the Oxford English dictionary defines it firstly as the power or right to act, speak, or think as one wants, and this is a good place to start. What does beer mean in Germany? Beer in Germany means an industrial product for the most part, brewed in staggering quantities and superlative efficiencies. Beer means Pilsner, or something thereabouts, unless you’re in the south, where it can also mean Helles, Dunkles, or Weissbier. In the south it can also mean Festbier, which will almost always be the same, regardless of the Fest. Every now and then it means Schwarzbier or Doppelbock. Sometimes Rauch or Kellerbier. For a few months of the year a Marzen or Bock. In the west it can mean Kolsch or Altbier, but never in the same place. In the north and east, thanks to stylistic resurrection by US craft brewers, it’s sometimes Berliner Weiss or Gose, like it was a long time ago. But mostly it’s Pils. And you’d be forgiven for thinking that most everything tastes the same. Because beer in Germany ultimately means paradox. It means 5000 brands across 15 styles, with few exceptions and precious little variation. It means most breweries making the same beers in the same seasons in remarkably similar fashions. It means tightly controlled distribution by Big Beer, operating through and through with mafioso largesse. It means the omnipresence of the tied-house system, with retailers trading inventory control for brewery financing. It means the same brands on the same shelves at the same prices throughout the country, regional analogues plucked from cartel portfolios notwithstanding. 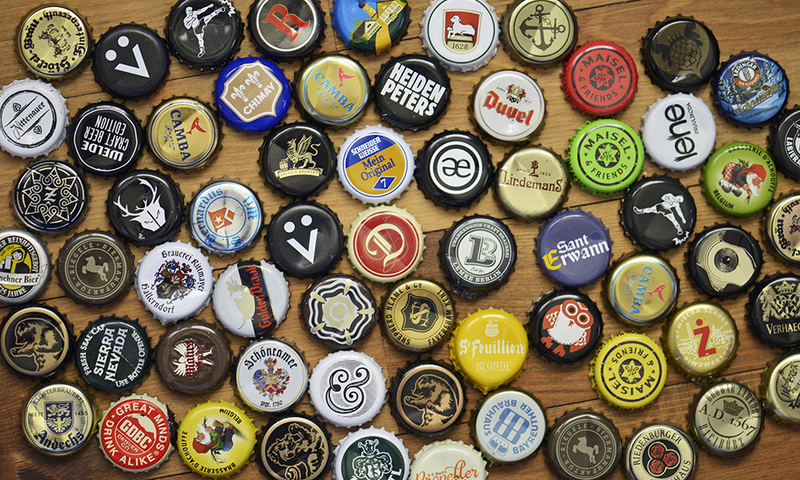 Beer in Germany means consolidation, and it has for some time. It means holding companies and consortiums and more than a few hydras. It means increasingly controlled markets, vertical integration, and ruthlessly cynical turf battles. But more open and accessible distribution channels wouldn’t necessarily upset the status quo much, because beer in Germany also means smaller, regional breweries looking exactly like the behemoths. Instead of distinguishing themselves by quality, style, artisanship, or personality, small to mid-size operations, often family-run, choose to mirror industrial beer. Most produce the same predictable styles within the same predictable parameters in a race to the bottom with their provincial competition, largely because in Germany, beer means price, and prices are astoundingly low. Far lower than they should be. Lower than water usually, somehow; rather inexplicably. Beer in Germany often means better margins on bottled water than on beer, at least for restaurants and bars. And likely most breweries. It’s no secret that the industry is far from profitable, but instead of innovation, differentiation, or quality, players choose instead to compete on price with the predictable results, hoping for salvation through export markets. Beer in Germany ultimately means thousands of interchangeable breweries and brands that really shouldn’t exist. But they do, circumstantially, contributing little more than a nod and a wink to the illusion of choice. And this illusion of choice persists. It persists because beer in Germany is largely a culture fast asleep on its laurels, well-deserved though they may be. The average German is proud of his country’s beer, and rightly so. Deutschland is an undisputed paragon of brewing, its worldwide contributions celebrated and immeasurable, but it’s been a while since any contribution of note, and the world has evolved. But beer in Germany means a blissful removedness from this awareness, and an outlook described most generously as insular. It means a profound dearth of beer knowledge, its slack often taken up by pride. It means arrogance and myopia and conservatism as gospel. It means tradition, though many historical ones are verboten and no longer exist. Beer in Germany means most people here know next to nothing about beer, but they do know that theirs is the best. This loaded statement is often connected to the fabled Reinheitsgebot, another thing most Germans know nothing about but believe is a guarantee of quality. Except that it isn’t, in any way, shape, or form. The Reinheitsgebot has absolutely nothing to do with standards or excellence. It’s simply a set of arbitrary restrictions on what beer can and cannot be that originated as a wheat protection measure and tax mechanism. But it’s been spun as ‘purity’ ever since 1918 and today is leveraged relentlessly by controlling interests of an industry who’ve little intention of forsaking free marketing. The Reinheitsgebot is not why German beer is good, but it is a large part of why German beer is in decline. Of course to say such a thing verges on the heretical, because beer in Germany is largely a conditioned response, and as such honest discussion and open minds have little quarter. So if freedom is openness, tolerance, or liberty to do as one pleases, it clearly has little to do with beer in Germany. But does it exist, Bierfreiheit? Where could it be? What might it look like? Probably a lot like Portland, Oregon, the City of Roses. Portland, of course, is where a lot of the Craft Beer Revolution originated, and where beer, brewing, and beer culture continue to evolve and thrive. This city of just over a million people has 70 breweries, with 105 in the greater metro area, making up almost half of Oregon’s incredible 230. Commonly referred to as ‘Beervana’, Portland is one of the world’s most important brewing centers, and consistently voted Best Beer City in the World. It’s a world leader in fermentation sciences and hop breeding, a pioneer of brewing innovation, and relentless beer trendsetter. In short, Portland IS beer. Roughly half of all beer sales in the city are craft. There are beer festivals seemingly every other week, an exhausting number of brewpubs, beer bars, and bottleshops, and an inordinate number of conferences, trade-fairs, and symposiums centering on beer and brewing, yeast and malt and hops. In Portland, beer is serious, but it’s also fun. People spend a lot of time learning about the product and the process through tastings, workshops, and classes. Homebrewing is a local sport, with many an amateur having made the leap to professional. There are trade associations, guilds, and an untold number of clubs, all centering on beer. Beer brings people together, for anticipated release parties, beer collaborations, Meet the Brewer Nights, and charity events. Beer tourism is big business, both in Portland and the state. People in Portland read beer weeklies, monthlies, and magazines. They subscribe to journals and podcasts and newsletters. Everyone has a beer blog, or can recommend a good one, along with a seasonal you definitely need to try, because there’s always a seasonal. There are seasonals, one-offs, and special releases- always something new to look forward to. Brewers in Portland make every style of beer in the world, and create plenty of their own. Every brewing culture is represented, but a lot of local beer is better than its inspiration, and comparisons always possible as imports are readily available. There are German beers and German-style beers, but of course no Reinheitsgebot, though much of what’s brewed in the city would qualify. Instead there is endless innovation, experimentation, and evolution. Portland brewers are a diverse lot, and accordingly make diverse beers, but are singular and united in passion and respect for their craft. Beer means many things to many people in the City of Roses. It means craft, quality, and knowledge. It means discovery and creativity. It means artisanship and a return to the land. It means past, present, and future. Above all, it means potential, and in Portland everything is possible. Beer there is simply a living thing, one that is very much free. Bierfreiheit is already on the books. Its manifestation is well past due. By Brent|2019-04-12T12:59:15+00:00February 18th, 2018|Comments Off on Bierfreiheit: What’s in a Name?